I did The Color Run 5K! | Helmet or Heels: I'm comfortable in either! I did The Color Run 5K! 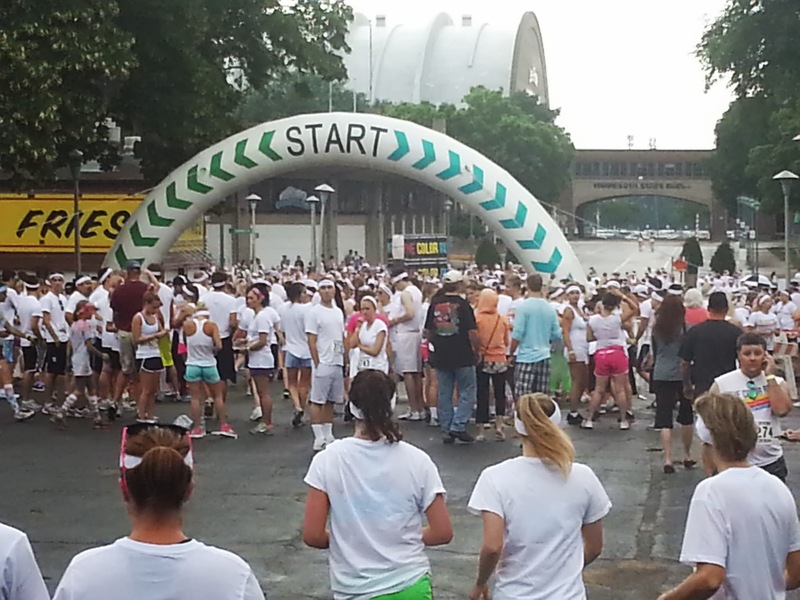 This past Sunday was The Color Run 5K I talked about back in January. A bunch of coworkers, a few spouses, and friends formed a team. It was so much fun!! There had to be a few thousand out there. Trying to find the actual number of participants! Here are a few shots I took. I look like I fake-baked that “tan” but it is just the orange color they threw! Me and my friend after the race! Throughout the race there are different color stations set-up with volunteers who throw color at you! 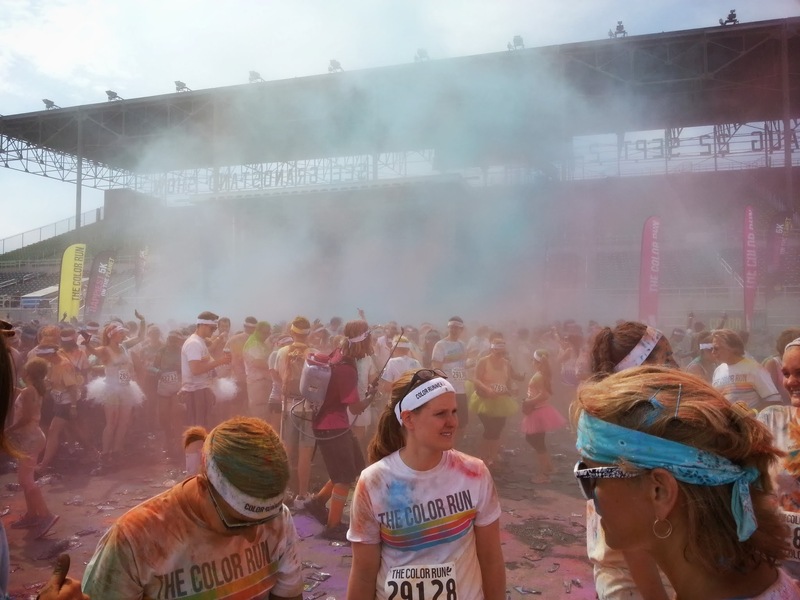 Below is a picture of a color blast they do at the end of the race … just in case you didn’t get enough color during the run! Here’s the group at the finish line! I’d definitely like to do that again next year! I highly recommend this event even if you don’t run. It is not a timed event and many people walked the route. 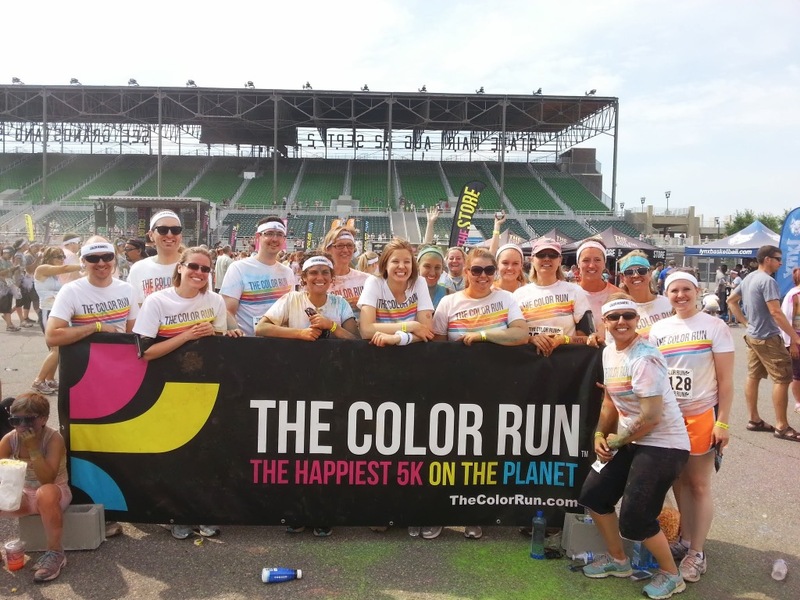 If you want to really get an idea of what The Color Run 5K is all about, check out the TCR Twin Cities Facebook photos! 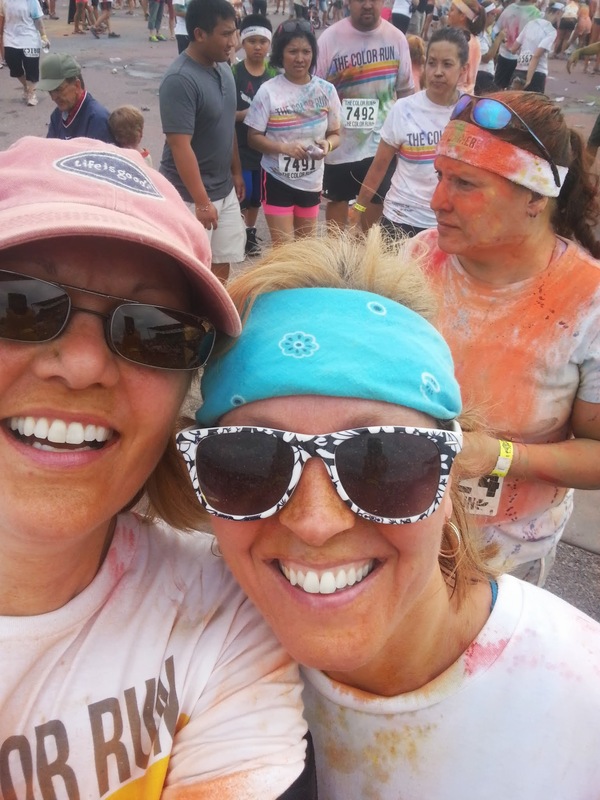 This entry was posted in Good Health and tagged exercise, The Color Run 5K. Bookmark the permalink. Awesome – good for you Pam!! First 5k down, now to decide on the next one. Next one?! Awk. Still recovering from the last one. j/k Actually, I’m doing quite well. I’ll keep you posted on the next 5K. You could have done it sans the running. Many walked the whole route! Congratulations on finishing the run. I think the powdered color thing would have driven me up the wall. I don’t do well with airborne powder. But glad you enjoyed it! Next the 10K then the half marathon then the full then the ultra. Nothing to stop you now! Thanks for the encouragement! Not sure about doing more than a 5K, at least not for now! Have a fabulous day.